Harry Harvey Sr. as Toomey in The Legacy. He had a musical background and began his entertainment career in 1918 with Gus Hill's Honey Boy Minstrels. From there he went on to appear in various minstrel and burlesque shows. 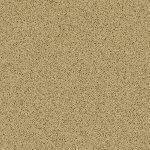 This led to many roles in Broadway shows. He went to Hollywood in 1934 and had a career spanning almost fifty years, mostly in small character parts. 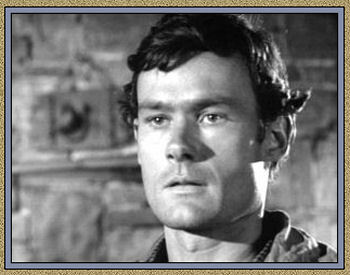 He appeared with Chuck Connors several times ― Ride Beyond Vengeance (1966) and Branded in three different times ― Yellow for Courage (1966) ― Judge Not (1965) ― Survival (1965). 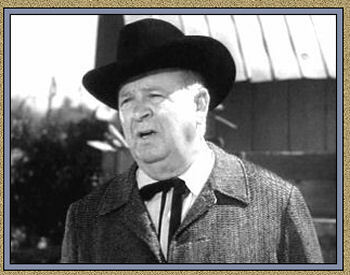 He had a recurring role in the TV Series It's A Man's World as Houghton Stott (1962-1963) and Man Without A Gun (1957-1959) as Mayor George Dixon ― The Roy Rogers Show (1957-1959) as Sheriff Blodgett. Ron Hayes as Bruce in Six Years and a Day. Jack Cooke's hired gun who was hired to get to kill Doc Burrage. Ron attended Stanford University from 1949-1952 and graduated with a degree in foreign relations. After graduating from Stanford, Ron spent a year and a half as a Marine Lt. in Korea during the war. After the Korean War, Ron settled in the San Jose, CA area and worked for KSJO radio. His acting career spans over thirty years with seventy-eight credits to his name. He later guest appeared with Chuck Connors in Arrest and Trial (1963) and Standing Tall (1978). He started out appearing on The Joseph Cotten Show: On Trial in 1957. From there his career took off appearing on many of the TV Westerns such as Gunsmoke (1960-1970) ― Bonanza (1960-1969) ― Destry (1964) ― Rawhide (1959-1962) ― Wagon Train (1960-1964) ― Maverick (1958-1959) ― Wanted Dead or Alive (1959) ― Bat Masterson (1960-1961) ― Two Faces West (1961). He was a regular on The Rounders (1966-1967) as Ben Jones. He appeared in General Hospital (1967) as Dr. Phil Brewer #2. He was an activist in the environmental movement, worked for the establishment of the first Earth Day, observed on April 22, 1970. Bruce Haywood as Oliver, the stagecoach driver in Sheer Terror. Jim Hayward as Tucker in Tin Horn. His first role was in 1949 in The Red Menace as a Ferris Wheel Operator. 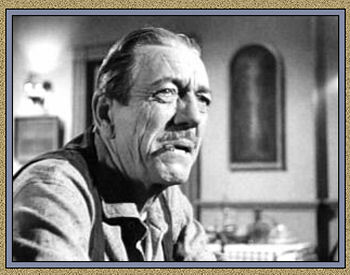 His acting career spanned almost twenty years with one-hundred and fifty-five credits to his name. Jim Hayward played Tucker. He was the man playing cards who sat to the right of Lucas in both games. 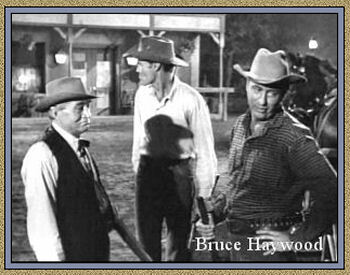 He has guest appeared in a lot of TV shows such as The Lone Ranger (1953) ― The Roy Rogers Show (1953-1954)― Fury (1955) ― The Adventures of Rin Tin Tin (1956) ― Tales of Wells Fargo (1957) ― The Untouchables (1960-1961) to name a few. His last appearance was in The Beverly Hillbillies (1967).